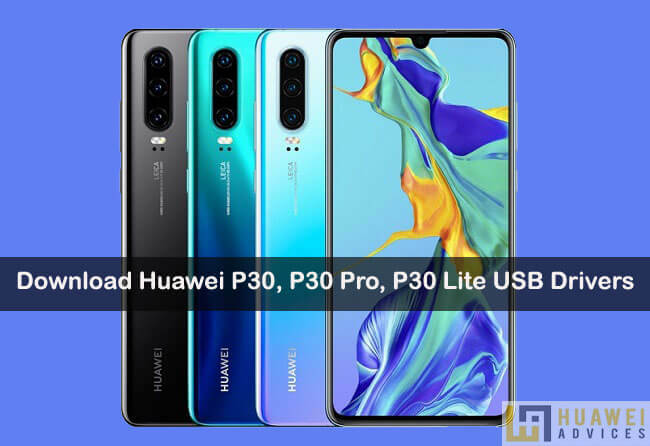 Here you can download and install Huawei P30, P30 Pro, P30 Lite USB Drivers on Windows or Mac computer. Huawei’s latest P30 series is already official last week and the device is already up for sale across various countries. If you’re one of those customers who has successfully purchased any of the P30 series smartphones, then you might be looking for proper USB drivers for your Windows and Mac. 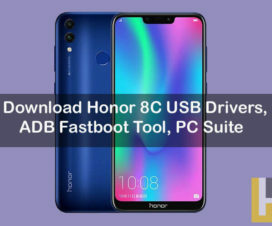 With the help of this official USB Drivers, once can easily connect their Huawei device with PC thereby ensuring reliable data transfers and proper recognition of your smartphone once connected to PC. If there are no proper USB drivers installed, then you might see a “Device Not Recognized” error whenever you try to connect the Huawei P30 smartphone to PC. 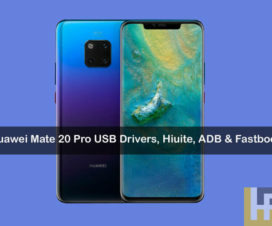 So, one should install official Huawei P30, P30 Pro, P30 Lite USB Drivers to overcome the error. Before we proceed, it is important to note that if your recent smartphone before P30 was a Huawei then there is no need to reinstall the USB drivers. Earlier ones are well-enough to establish a safe connection. In case, if your device doesn’t connect or if you fill that the drivers are outdated, then you need to install fresh ones from the below link. Huawei P30 and P30 Pro come with a 6.1-inch flat OLED and 6.5-inch curved OLED panels respectively with a waterdrop-style notch. The full HD+ resolution screens of both handsets are embedded with a fingerprint sensor. In terms of hardware, the P30 and P30 Pro are powered with Kirin 980 SoC and has up to 8GB of RAM. Coming to Huawei P30 Lite, it flaunts a 6.15-inch Full HD+ waterdrop notch display, is powered by Kirin 710 SoC with 6GB of RAM. Both the P30, P30 Pro, P30 Lite runs on Android 9.0 Pie-based EMUI 9.x OS and sports a 32MP front-facing camera. The P30 and P30 Lite come with triple cameras setup while the P30 Pro has quad-cameras. The P30 and P30 Pro backup by a 3,650mAh and 4,200mAh batteries respectively, the P30 Lite includes a 3340mAh battery. 1. 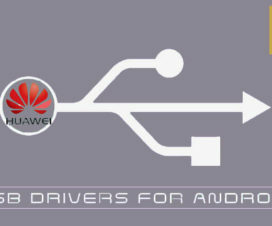 Download Huawei USB Drivers from the above table on your PC. 2. 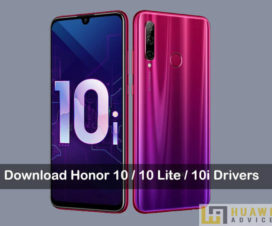 Uninstall all the previously installed USB Drivers for Huawei/Honor phones. 4. Go to the downloaded .zip file and extract the same using Winrar software. 5. Double tap the extracted file and follow on-screen instructions to start installing the USB Drivers. 6. Once the drivers are successfully installed, you need to reboot your PC again. 7. After the computer boots into normal mode, you will need to connect the device to your PC via USB cable. 8. That’s it! Now you can easily move files from PC to device and vice-versa. Huawei smartphone users with Mac PC can easily transfer files with the help of the Android File Transfer app. You can refer the following link to download the app. I hope you’ve successfully installed Huawei P30’s USB Drivers on Windows and Mac. Do check our Huawei P30 section for official firmware updates, custom ROMs, tips, and other useful tutorials.